Loft Boarding South West is the approved installer of LoftZone StoreFloor in Bath and the South West of England. We create easy access loft storage in your home, whilst protecting your loft insulation. Contact us below using the form to book your FREE loft survey. You can also find more details about all of our services. Boarding your loft for storage is one of the best ways to create space in your home. If you have insulation in your loft, then you can't use it for storage without having boarding, or you'll squash the insulation and reduce its efficiency. 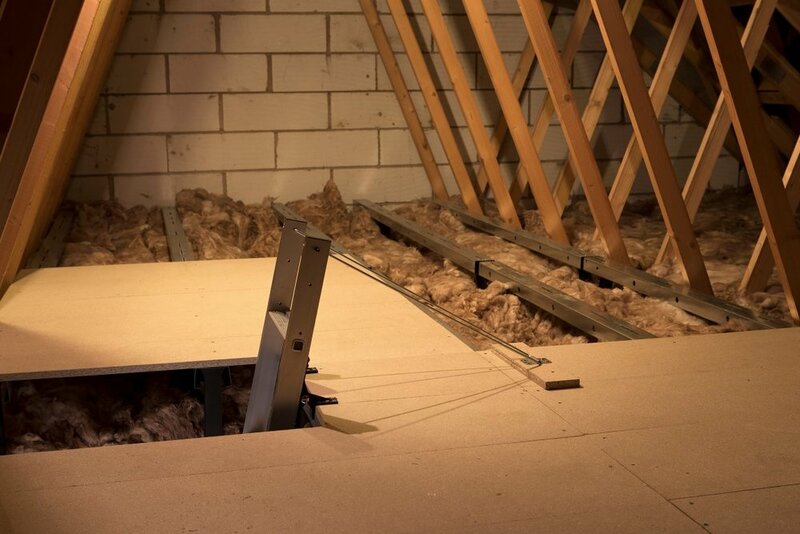 We use the LoftZone StoreFloor raised loft system, giving you an area of loft storage whilst protecting your insulation. This system is the only one of its kind approved for use by the BBA (British Board of Agrément), the leading body in construction. It's also suitable for new build homes — it won't void your new build warranty! Our loft boarding package includes all boards (we use 18mm chipboard) and can even be fitted around obstructions in your loft. Simply put, it's the best system out there, professionally installed at your convenience! It's important to have safe access in to your loft. A wobbly old stepladder or chair isn't the way any of us should be trying to get in to our loft! All of our loft ladders are also fully compatible with the LoftZone StoreFloor system, and can be installed at the same time as any loft boarding.